For our next challenge, we return to a 5 year old Kaggle contest to develop a model to help predict seizure events. The training data consists of 106 GB of .mat files, each representing 10 minutes of raw intracranial EEG readings from 16/24 sensors, for 5 dogs and 2 humans respectively. Most contestants engineered lab-tested features based on FFT or time-correlation between the channels with the results of a similar contemporaneous contest in mind. Unconstrained by the real-world limitations of computational feasibility on embedded hardware, the winning models involved complex ensembles of linear models, SVMs, Multilayer Perceptrons, and Random Forests. These models generally followed preprocessing techniques like PCA or band passing for dimensionality reduction. The contest finished in 2014, nearly a year before deep learning frameworks like Tensorflow were available to help challengers experiment with deep learning and none of the winning approaches were going to make it onto a wearable device. More recently, the Tensorflow Speech Recognition Challenge did introduce a special prize for those able to run models on a Raspberry Pi 3. Speech recognition is another discipline where deep learning models can perform quite well. Essentially, practitioners will regularize the audio signal through Fourier Transform, producing a spectrogram where computer vision ideas using convolutional neural networks (CNNs) apply to identify visual structures called formants. 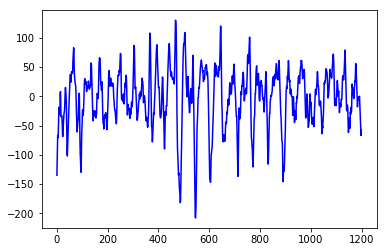 Going back to seizure prediction, the EEG readings oscillate rapidly in time and it is reasonable to apply FFT to this signal to learn about what discernable patterns may emerge. Besides the smoothing effect of the Fourier Transform, the FFT algorithm is very fast and can easily be performed by a microcontroller. Combining FFT with CNNs, we want to develop a model which can actually be run on a wearable for the purposes outlined by the contest sponsors. Let's assume we cannot fit 10 minutes of 16/24 channel, 400/5000 Hz EEG readings into memory. Rather than applying the FFT to our training samples, we'll choose a variant called the Short time Fourier Transform (STFT) to resolve the signal spectra over smaller time windows, say 3 seconds. As before, we min-max normalize after performing a log transform on the absolute value of the STFT window for a single channel. 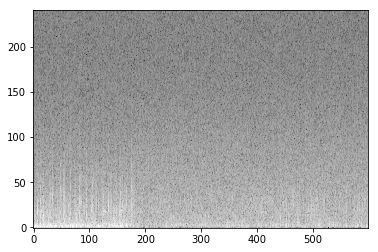 It may be a dramatic simplification to ignore covariance between channels but for the purposes of a quick test, we will create a bunch of these spectrograms, resized to 128 x 128 images and dumped to file. It takes another big assumption to regard any 3 second clip from the 10 minute segment as equally representative for the purposes of differentiating signatures in the EEG. To get things started, I create a very simple architecture to explore the thesis that CNNs can perform comparably to methods from the contest, but on resource limited hardware. 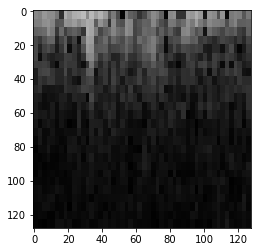 Then by fitting a few thousand samples into memory, I start exploring different architectual choices for the convnet. I'll downsample the very prevalent interictal class to create a more balanced dataset. Initially, I am looking to reign in the model complexity, the Keras Sequential API supports a handy 'summary' method to get a count of model parameters. Next, I look to quickly demonstrate that the model is able to learn, without too much regard for performance or overfitting. Reviewing the training progress, there is good reason to believe training on more data and experimenting with fine-tuned models, unsupervised pretraining, hyperparameter optimization may all help lead to a usable model. Now that we have this, we can begin to pin down some of the details around our simplifying assumptions and scale up to the full dataset. If this goes well, we might also try unsupervised pretraining since half of the data consists of testing samples.